Apple has made iOS 11.2.5 beta 7 IPSW links and OTA update available to download for all compatible iPhone, iPad, and iPod touch devices. The immediate release means that developers registered with the Apple Developer Program are able to grab the latest beta release as an over-the-air update or via the official IPSW download links. The release of the latest beta of iOS 11.2.5 follows on sixth beta released a few days ago. That sixth beta has given the enthusiastic development community the opportunity to locate any issues or bugs and feed them back to Apple’s engineers. 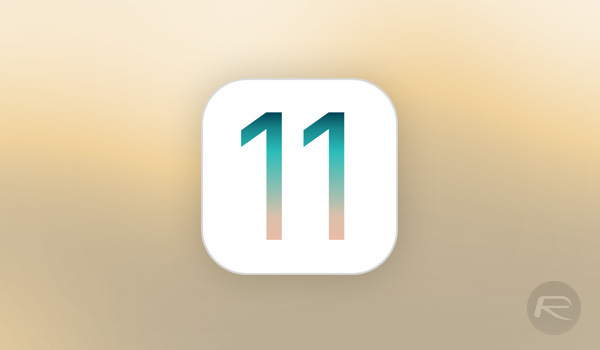 The feedback has allowed those engineers to work on the bugs and bundle together this seventh iOS 11.2.5 beta which has now been served up for consideration by the testing community. And, of course, it gives those developers an opportunity to test their own apps and software with the latest version of iOS. With iOS 11.2.5 beta 7, we have no expectations that Apple has bundled in any major changes, feature improvements, or new additions which haven’t been in any of the previous pre-release seeds of the firmware. This is very much offered to the testing and development communities as a minor point release designed to fix any known issues with previous releases and to try and streamline the whole iOS experience on all compatible devices. It’s for that reason that we don’t expect beta 7 or beyond to include any meaty functionality additions like we saw with the release of iOS 11.2 and the unlocking of Apple Pay Cash and faster 7.5W wireless charging. With that said, it doesn’t mean that iOS 11.2.5 is any less important than those previous iOS 11.x point releases. Apple has been forced on multiple occasions to release software update ahead of its pre-defined schedule in order to patch critical bugs or security issues. Those releases have invariably meant that other smaller bugs may have slipped through the cracks as the company looks to try and firefight the serious issues. iOS 11.2.5 hopefully puts things back on an even keel and gets Apple where it wants to be in terms of being able to continue progressing iOS 11 without having multiple obstacles and hurdles to overcome. For those who have a beta configuration profile installed on their compatible device, the iOS 11.2.5 beta 7 download is available to grab right now from Settings > General > Software Update section of iOS. IPSW files of iOS 11.2.5 beta 7 on the hand can be grabbed over from developer.apple.com. Update x1: Alongside iOS 11.2.5 beta 7, Apple has also released watchOS 4.2.2 beta 5. Update x2: Here’s what is new in iOS 11.2.5 beta 7: iOS 11.2.5 Beta 7 Changes, Release Notes And Changelog Details You Need To Know About. get the iphone X battery working properly for god sake!! ? Why? What’s wrong with it? Mine’s been spot on since I got it. The battery lasts longer than my 7 Plus did.